Back in January 2015 I was all fired up and excited, getting ready to do my live event day for my programme, ‘Brand from the Heart’. Everything was going great – opportunities were coming from lots of different directions, unexpected help came for free, I got the venue at a hugely discounted price, and I filled it with exactly the number of people I’d visualised would come. I’d put together what I believed was a really great group mentoring programme at a great price, to help those people who wanted further, more focused help, and in my mind and visualisations I’d pictured working with six people intensely for the next three months. Suddenly I found myself with a big space in my calendar that I hadn’t planned for! But the thing was, rather than freak out that it wasn’t going ahead, or beat myself up because I’d not sold the benefits well, or whatever the reason for the result – because things had been so absolutely in flow up to that point – I just felt excited because to me it felt that something else more aligned must be on its way. I was highly energised and I knew I was riding the current in the right direction, even though it wasn’t taking me where I’d planned! I stopped and pulled up my metaphorical oars. But because I didn’t know where I was going with my business, it was quite scary. I had stopped taking on new branding clients and was living off my savings and credit cards. When I succumbed to fear and made decisions more from my head than my heart, blocks fell across my path, or I felt like I was forcing or making a lot of effort paddling upstream. And after a while I could feel the current turning me round and carrying me in another direction, even though I had no idea where to. During this time, as well as setting free my spirit and going off to California and Spain for fun and adventures, which really raised my energy, my intuition was right on the money when I needed it to be, and that kept me focused, trusting in the flow, and moving forwards, rather than panicking when things didn’t appear to be going my way. I knew something new was to come out of all this that I would be able to share to help other people, so I went with it, making a habit to consistently create time and space to connect within, to heal, to fill up with energy and focus on my desires, which are what lead us along the path to our potential. When we give ourselves space and time to really look at who we are and who we’ve been across our lives, it’s so much easier to see where our true gifts and potential lie. Because these gifts have always been part of us, even if we haven’t been fully expressing them, it means we often only need to make small changes to how we’re showing up, and suddenly we are right back in the jet stream. So finally it all came together for me, and The Flow Project was born! This was the online programme I channelled to help people create more energy, more joy and more flow of abundance and opportunities in life. I wasn’t prepared for the level of success and the speed at which people were manifesting such amazing, life-changing results, so what had originally been created as a 21-day program got turned into a 5-day program, with equal, if not better results because more people carried it through to the end. Since that time of letting go, surrendering to the Universe and to the natural flow in my life I have run The Flow Project three times, I’ve created my Flow Alignment Intensive – a small group coaching program that’s sold out twice and is nearly full ahead of the third run in August – and my coaching and mentoring practice has been its most prosperous since I jacked in my J.O.B. five years ago. 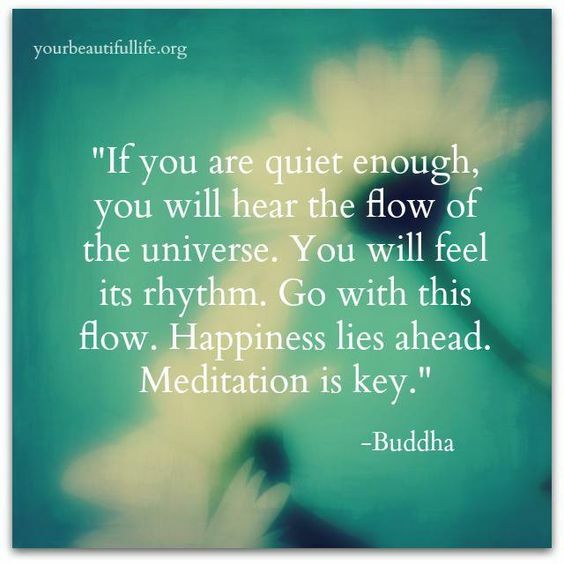 …then I hope it will give you some relief to know that you are simply out of alignment and you can restore the flow and energy back into your life faster than you ever thought possible. And you too can soon be enjoying the life full of abundance, joy and fulfilment that you were born for. You just need to let go and let the Greater Intelligence of life guide you. It knows what it’s doing! 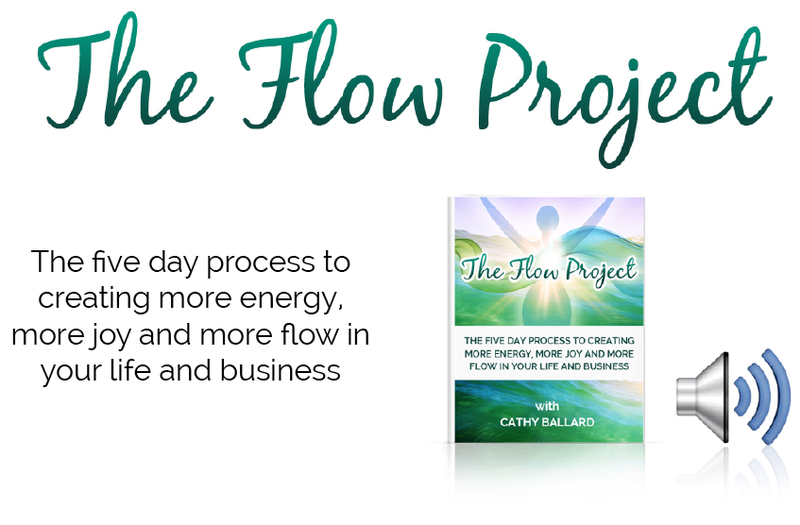 If you’d like to to get back into alignment with the flow of abundance in your life and business you can begin by downloading my ‘Flow Process’ transformational meditation. And for fast-track personal support, simply apply for a complimentary call with me by sending an email to – connect@cathyballard.com – or leave a comment below. If you’ve enjoyed reading this post, please share it with your friends. Let’s spread the ripples of awareness out so more people wake up to the magic and possibility that’s inside them too! 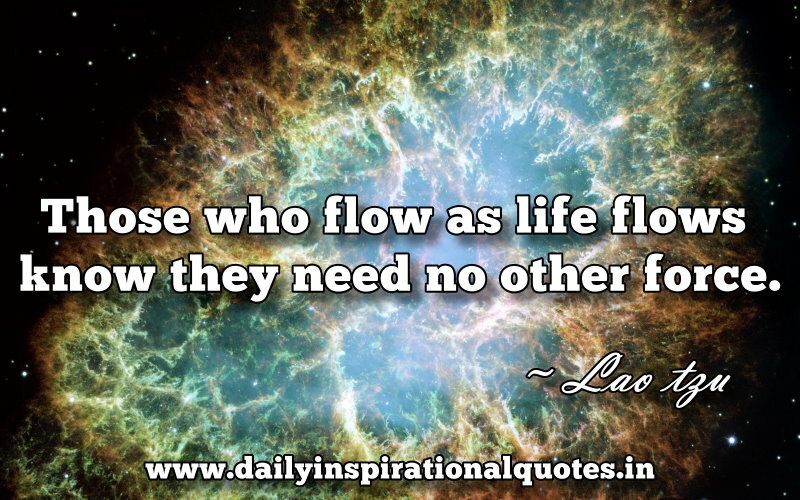 To your transformation and flow!